Cervia, the antique city of salt, with its verdant pinewoods and beaches , has become over the years a modern seaside resort. With its over nine-kilometre-long sandy beach, it is today one of the most renowned Italian tourist centres. It has become famous internationally because of its dedication to tourism, the incredible hospitality and warm welcome which its visitors receive. Today it is one of the main destinations for Italian tourists because it puts guests first and ensures them high-quality services and also provides an exceptional environmental setting combining sea, pinewoods and saltpans. Cervia hosts an important and famous health spa. The activities of the "Terme di Cervia", immersed in the green of the centuries-old pinewood, are tied in with the salt of the surrounding saltpans. Cesenatico and the sea are one and the same thing. 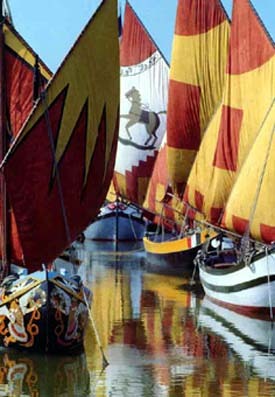 The ancient coloured sails of the Marine Museum, which greet the people who arrive and leave tell of this. 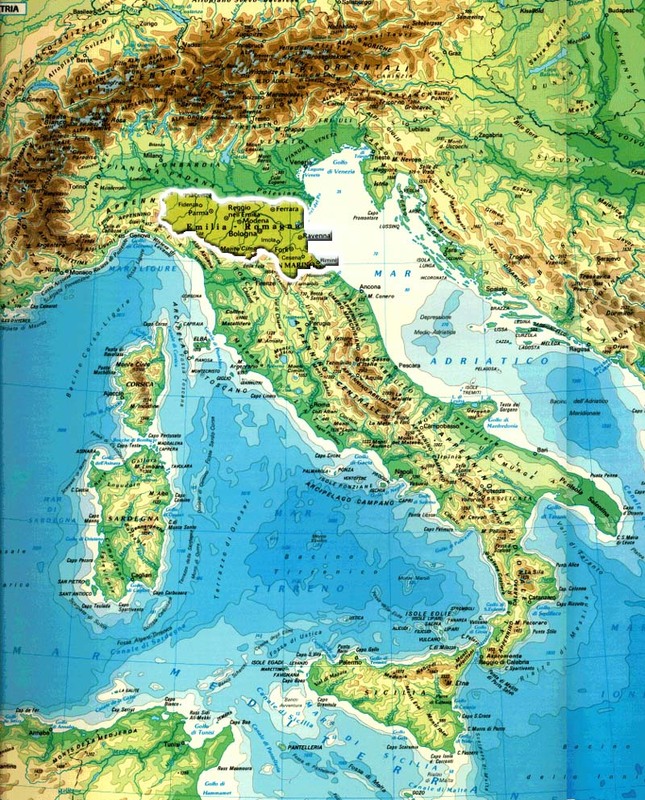 As far as we know, the town was founded in 1302: nearby Cesena needed a port for its traffic and perhaps for military use. 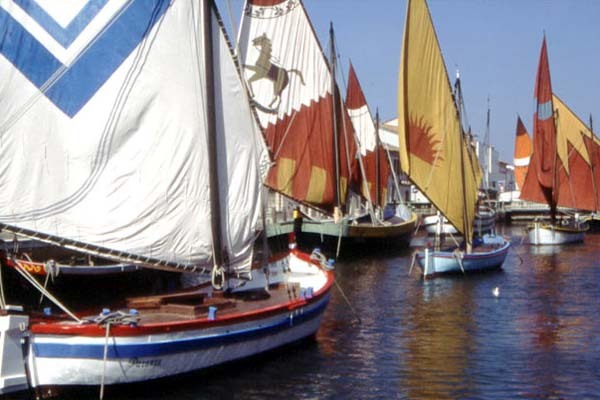 After a succession of events Cesenatico developed above all into a fishing port. The ancient tradition, which was first mercantile and then seafaring and fishing oriented, has created a striking gift for hospitality and catering. 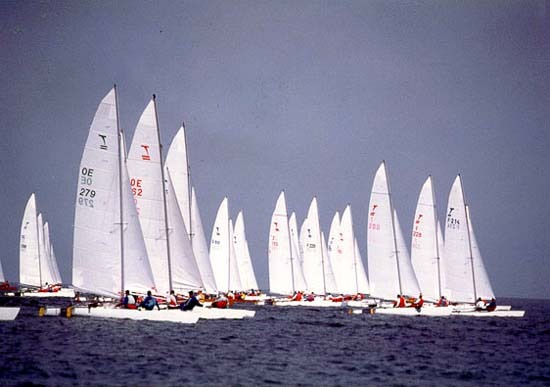 The extensive wet dock, the sports facilities, the modern tourist reception services are essential ingredients for a seaside holiday to be spent in Cesenatico. In the evenings, along the banks of the canal port, where the fishing boats moor, you can suddenly rediscover the enchanting atmosphere of times gone by. The spirit of the city is the canal port, designed by Leonardo da Vinci which houses the Seamanship Museum, which is a practically unique and impressive collection of ancient vessels, whose multi-coloured sails and hulls narrate centuries of fishing activity and trading by sea. 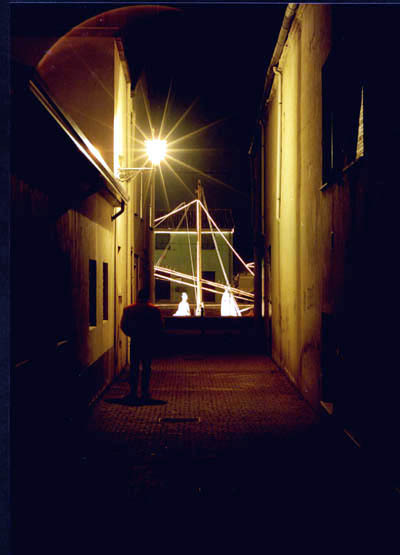 The hamlet "Cesenatico Centro" is situated on the west side of the harbour and represents the historical core of the city. It is a both touristic and residential area at the same time, equipped with modern hotels and an efficient range of public services for tourists during the summer period and for citizens all the year round. Savignano is the smallest seaside resortalong the entire coastal area. The beach is more than adequately equipped. An extensive green space chosen with care to be the ideal location for a camping site that offers all the facilities and services you could wish for. Gatteo a Mare is located at the mouth of the famous Rubicone river and here opportunities to dedicate yourself to culture and amusement are certainly not lacking. In Gatteo a Mare, time is of the essence: the days spent lounging on the beach, agreeable company, the chance to let yourself go, the colourful life of a small town that has certainly a lot to offer. Right in the heart of Romagna, San Mauro Mare is a small seaside resort, ideally suitable for families who long for a peaceful holiday. The efficient services, areas thriving with greenery and sporting facilities make a holiday here more than agreeable. Just a few kilometres from the beach there is even the house where the italian poet Giovanni Pascoli was born.